North Academy welcomes you to an open day 10am – 2pm, Saturday 13 Feb 2016. Come along and find out all about Rawmarsh’s brand new dance and performing arts school. All ages welcome from 3 – 93 offering classes Monday to Saturday. 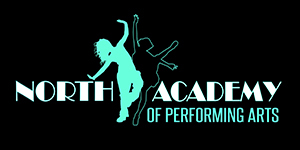 Ballet, Tap, Modern Jazz, Theatre Craft, Street, Irish Dance, Musical Theatre, Adult Fitness, and Adult Burlesque.